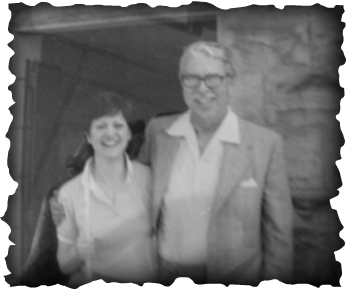 Anne Decker-Beck with William Hebert, 1983. 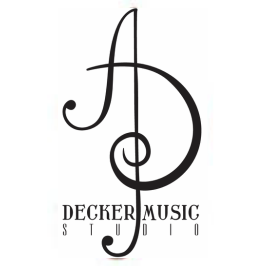 "Flutist Anne Decker produces full romantic sonorities and flowing lines". Anne Decker-Beck graduated Bachelor of Music, Flute Performance, from Baldwin-Wallace Conservatory of Music, Berea, Ohio, where she was privileged to study with William Hebert of the Cleveland Orchestra. She achieved the following successes during baccalaureate studies: Winner of the B-W Concerto Competition as a Junior, Principal flutist B-W Symphony Orchestra, Flutist with the 50th, 51st and 52nd Bach Festival Orchestras, including the 50th Anniversary Bach Festival Kennedy Center broadcast tour on NPR and PBS. She was the featured solo artist performing in the premiere Cleveland Focus Festival of Contemporary Music. Ms. Beck studied with Ervin Monroe of the Detroit Symphony Orchestra while in high school. Her post graduate work includes private study with Trevor Wye, Royal Northern College of Music, U.K. and Jeffery Zook, piccoloist with the Detroit Symphony Orchestra. She studied piano from the age of five including a long tenure of development and pedagogy instruction under the tutelage of Arvi Sinka, Doctor of Musical Arts, Arvi Sinka Piano Studio in Troy, Michigan, www.arvisinka.com. The St. Paul's Episcopal Church Chamber Music Series features local musicians in concert. For more information on the series and St. Paul's Church click on this website tab: "Our Partnership with St. Paul's, Romeo". Contact: 586-752-0824. See the page: "Partnership with St. Paul's" on this website. Mrs. Beck teaches flute clinics for musical development of Middle- and High -School Bands. She coaches flute choirs and woodwind ensembles in p﻿reparation for competitions and events. She conducts sectional rehearsals for school and community concerts. Mrs. Beck embraces the Citizen Musician initiative which exists to sustain and expand the role of music in civic and cultural life by creating and enhancing communities through music. A Citizen Musician strives to transcend technique, to create empathy, and to direct the value and relevance of music toward positive social change. The Citizen Musician rationale is this: music can bring beauty and hope to people’s lives and create connections between people. For these reasons, music has the power to create stronger and more vibrant communities. As the founding Chairperson of the Metropolitan Detroit Woodwind Studetn Achievement Testing, Mrs. Beck developed the standardized, sequential testing of performance, technique, aural theory, written theory and sight reading for private woodwind music students in the Metropolitan Detroit area. These achievement tests continue to serve as the MDML curricula. This program is administered by MDML, Michigan Music Teachers Association and Music Teachers National Association. For more information: www.mdmlonline.org.